Tongwynlais Community Council has 9 Councillors representing the community. 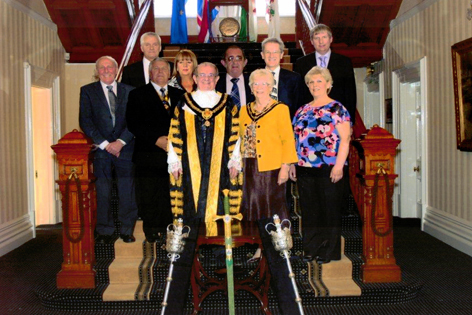 These councillors do not get paid for serving the community. They kindly give up their free time to help local people and the community. All Community Councillors make a personal commitment to Tongwynlais and the community. They represent the local residents by campaigning for and against local issues. Together they run the local Community Council. The council receives a precept in April each year which is collected through Council Tax. The precept is used to run the council and for the general up-keep of the village. I am sure that you will appreciate just how clean and tidy the village is kept. Throughout the Spring and Summer, the council work with the Tongwynlais school Gardening club, so that the village has a wonderful display of hanging baskets. At Christmas time, Merthyr Road is lit up along the houses and on the lampposts. These displays could not be put together without the help from local businesses. The council hold a meeting, usually on the last Monday of the month, at 7:30pm in The Tanyard, Market Street (except August and December). Members of the public are welcome to come along. Second row: left to right: Cllrs Chris Morgan, Graham Walters and Julie Jones.